Showing 1 of 8 Slide(s). 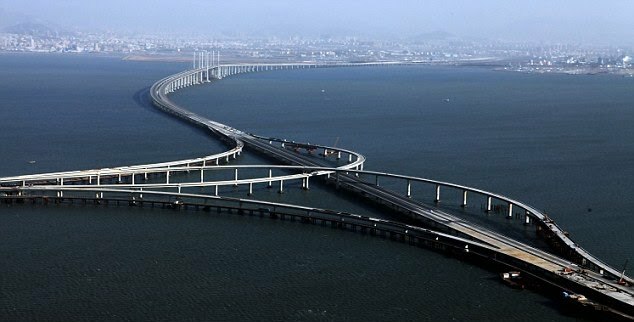 Danyang-Kunshan Grand Bridge is the longest bridge in the world. It is located in China. It is 164.8 kilometer long and built for Beijing–Shanghai High-Speed Railway. The construction started in year 2006 and it was opened for high speed rail on June 30, 2011.